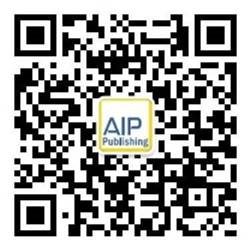 "I enjoyed my experience with AIP Author Services. It is a fantastic service. The manuscript was indeed improved." "For many, the new AIPP author language service will transform authorship. Instead of wasting time perfecting writing, with a 3-6 day turnover, English can be corrected with physics-contextual intelligence. The service is affordable too, typically coming in at $200 per manuscript. Some Professors are even using the service as a replacement for proofing their graduate student coauthor’s writing. At AIPP, the language service happened to come on-stream along with a new 5-minute submission system. This potent combination transformed the way we operate Physics of Fluids. Since, resubmission just takes 5-minutes, the language service empowered the Editor to raise the English language standard from “understandable” to “correct”. Reviewers are no longer burdened with incorrect English, and Physics of Fluids is a much stronger journal for this."